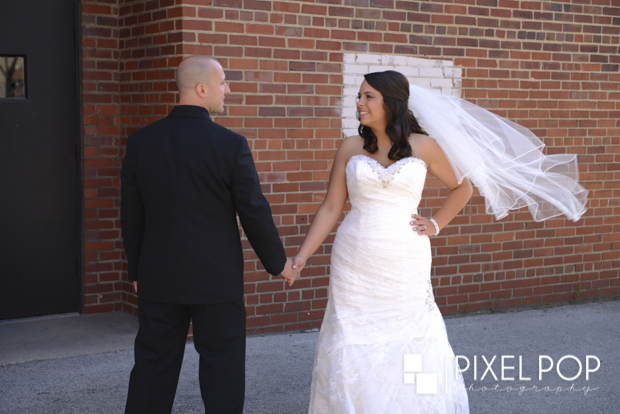 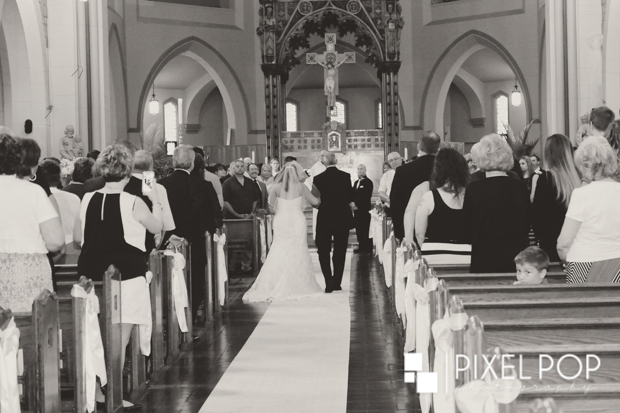 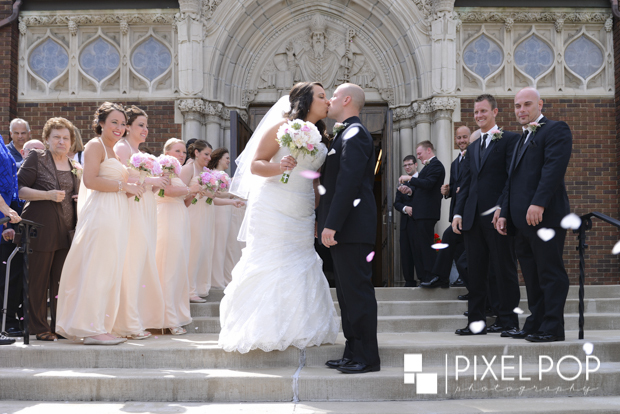 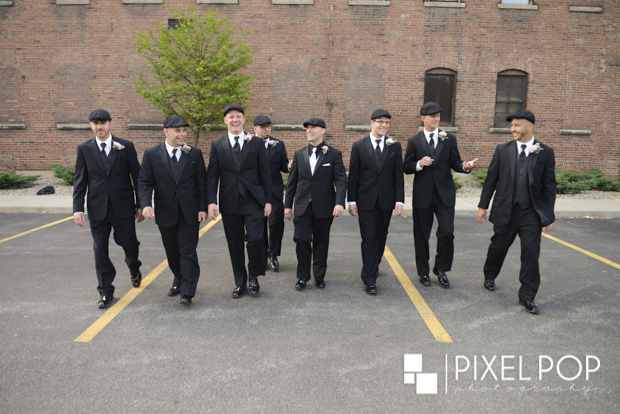 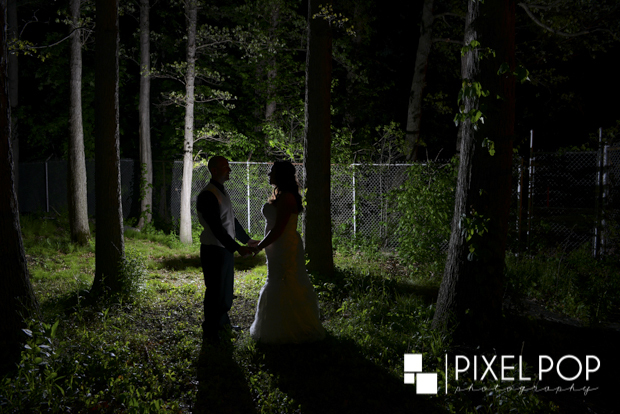 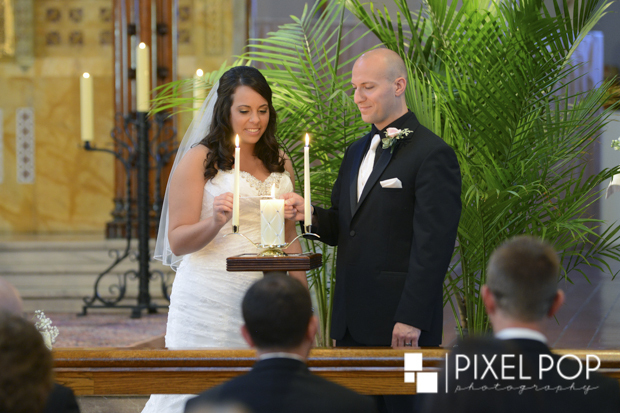 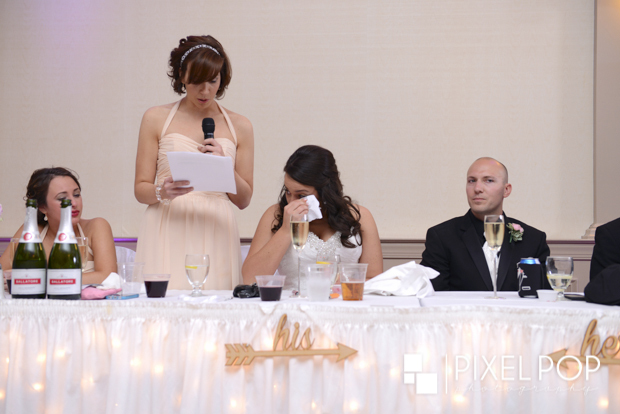 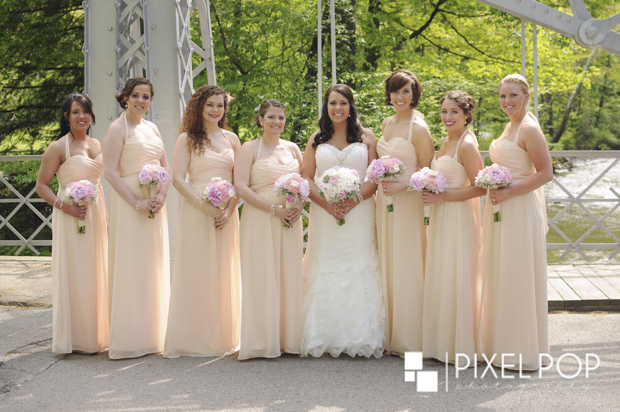 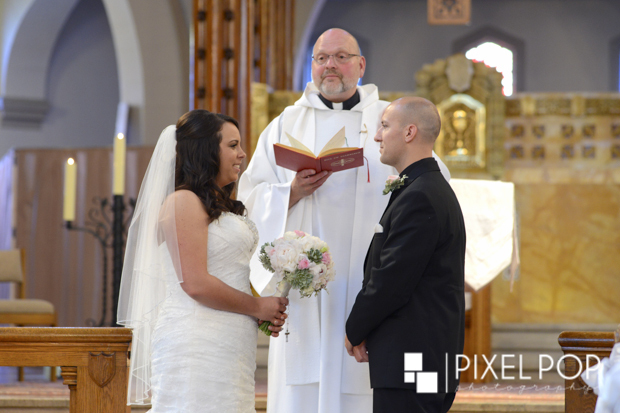 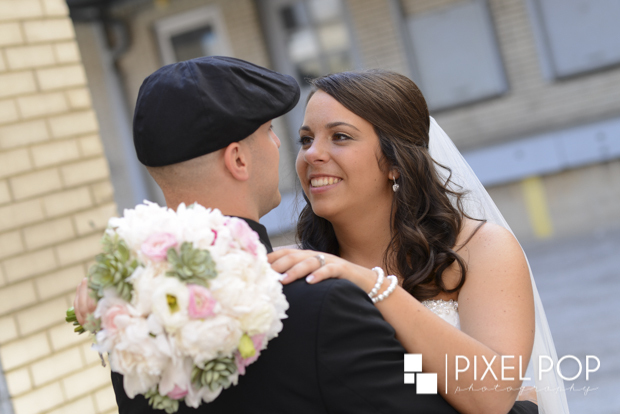 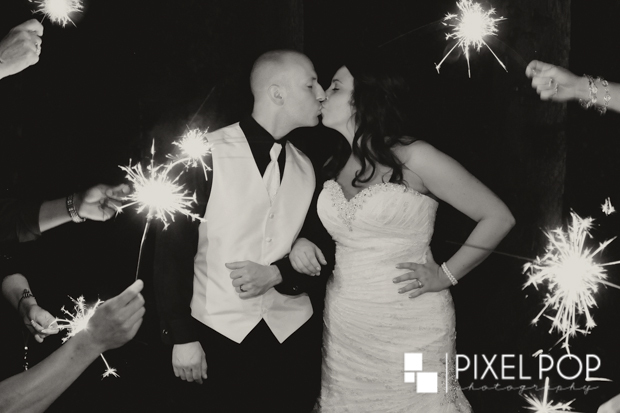 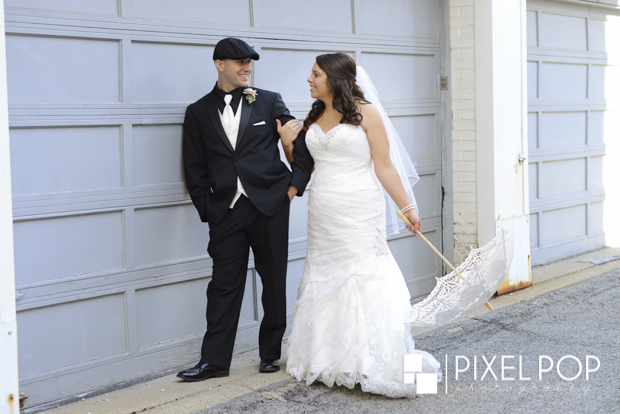 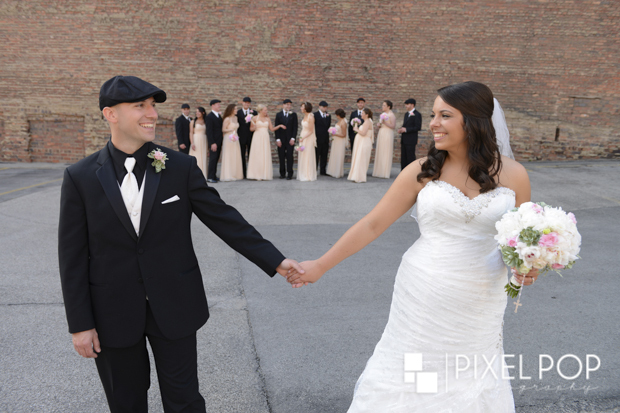 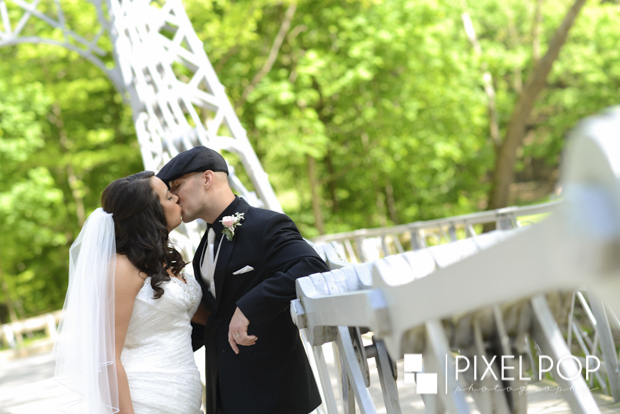 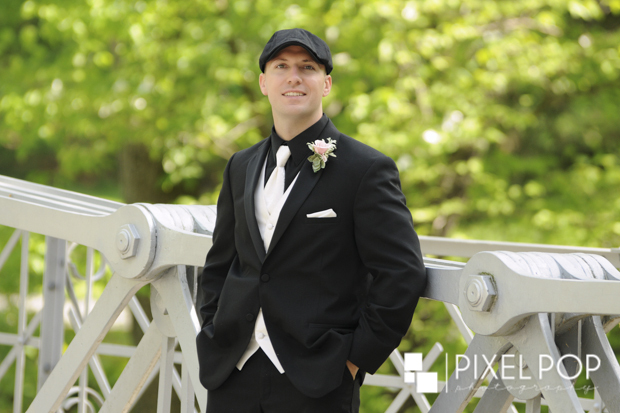 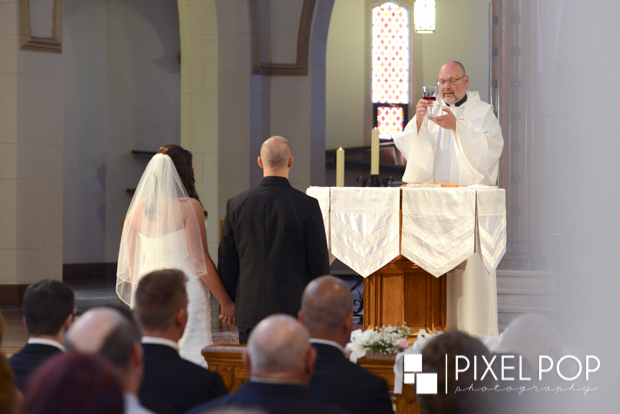 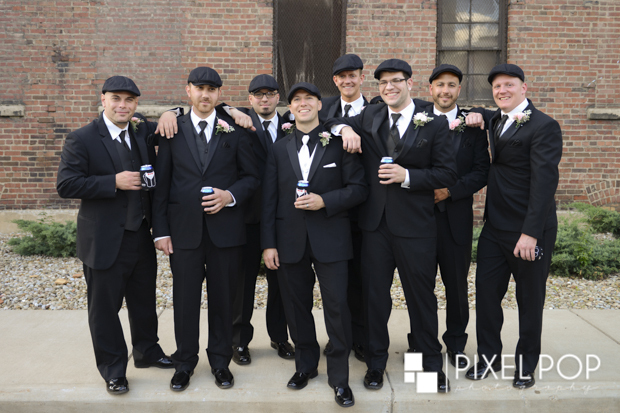 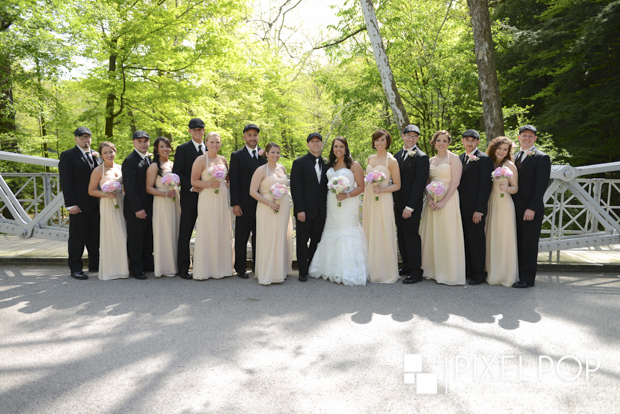 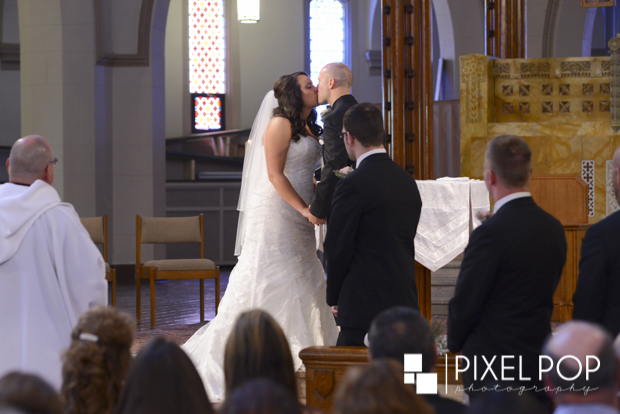 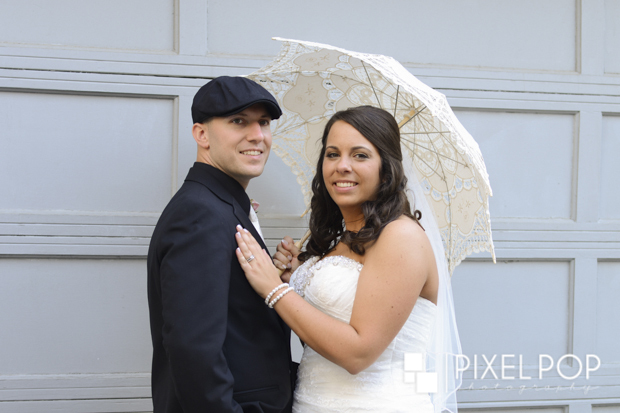 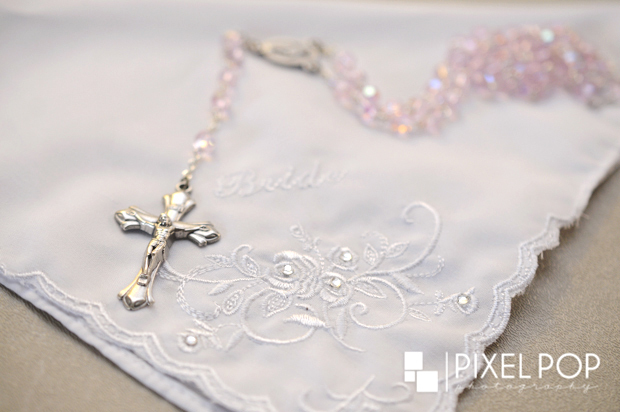 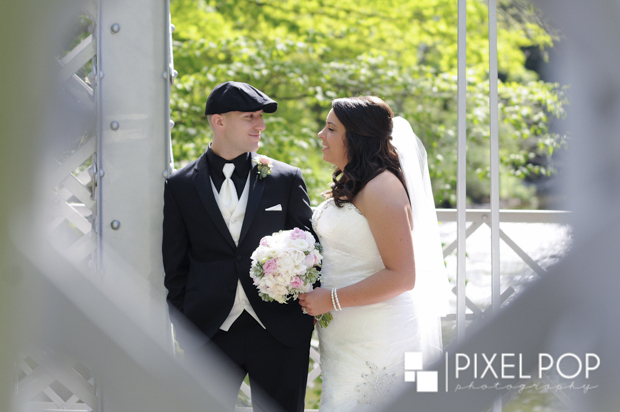 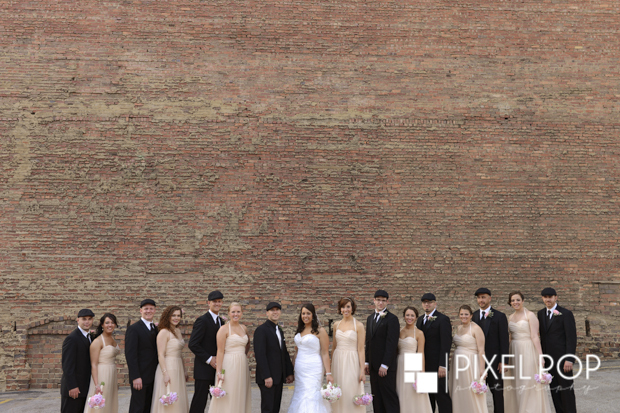 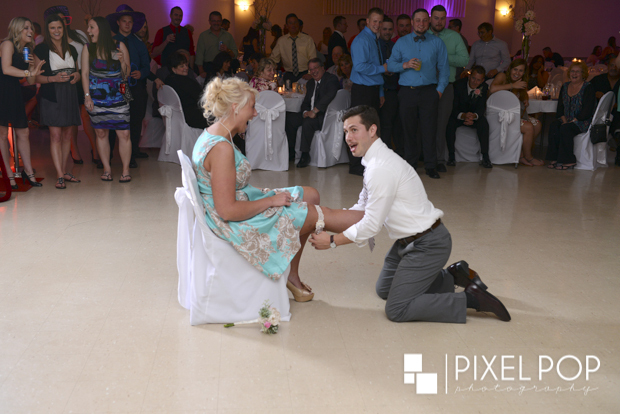 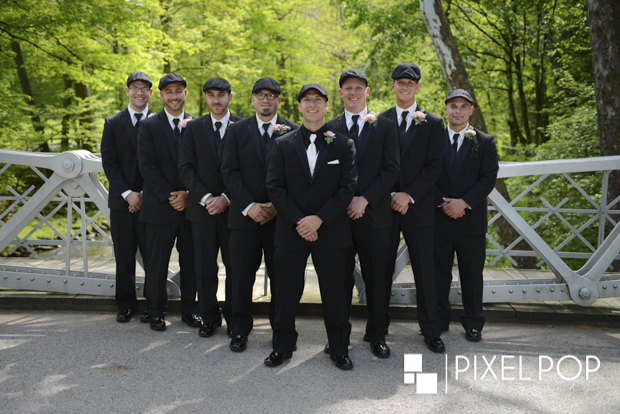 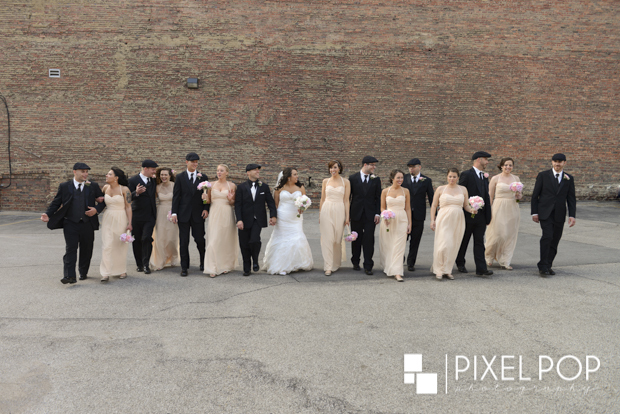 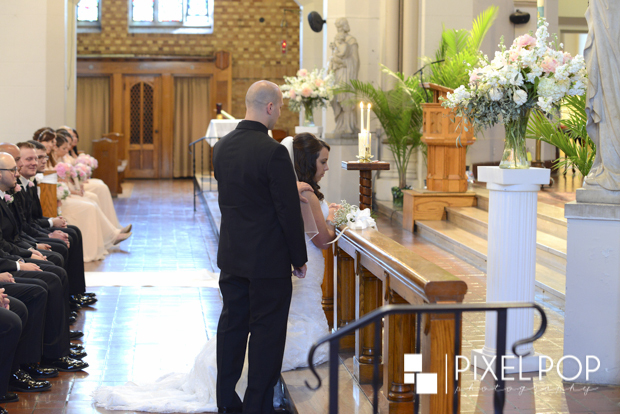 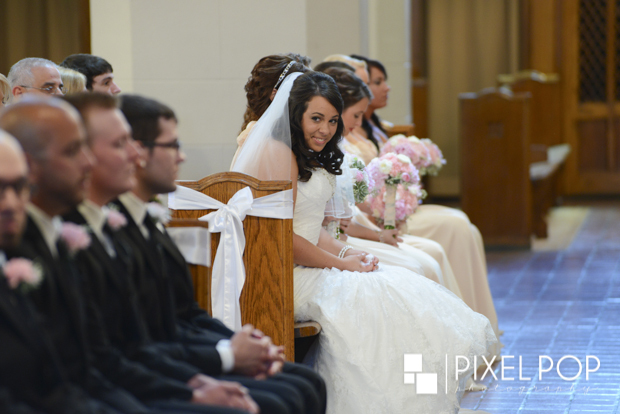 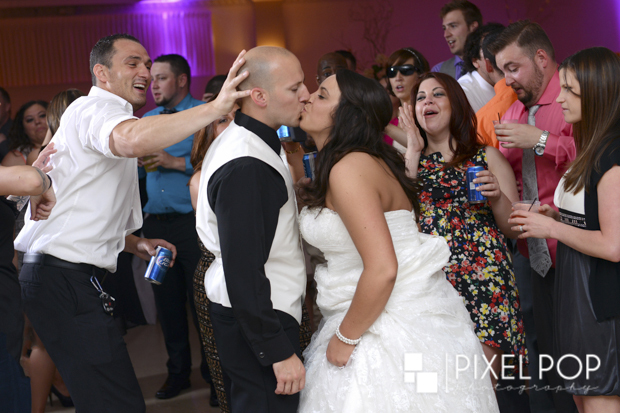 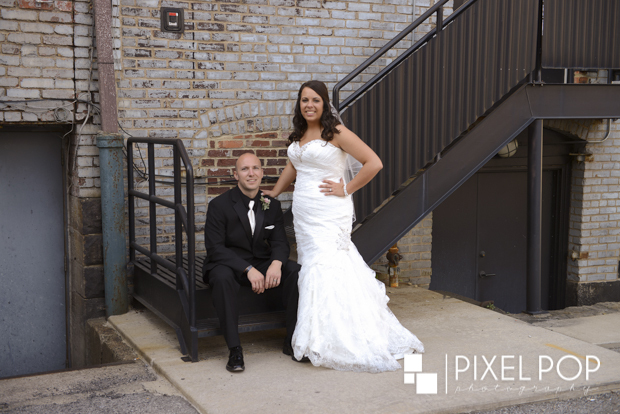 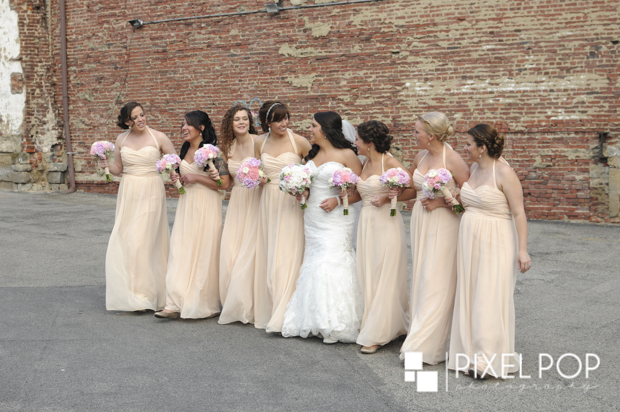 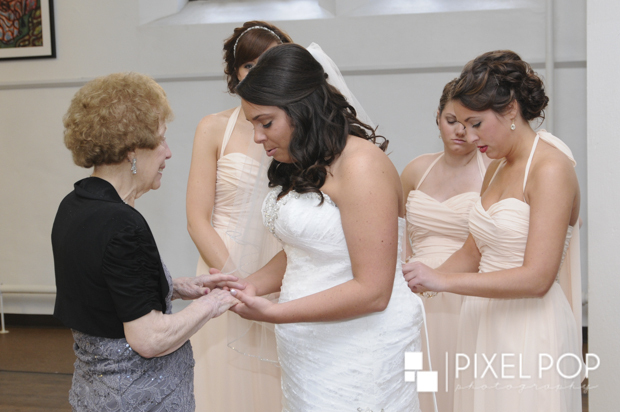 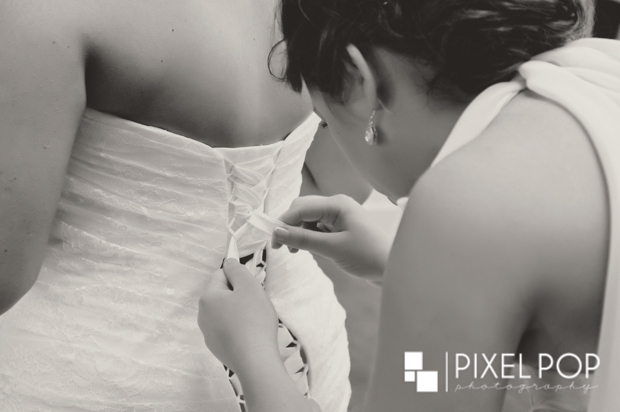 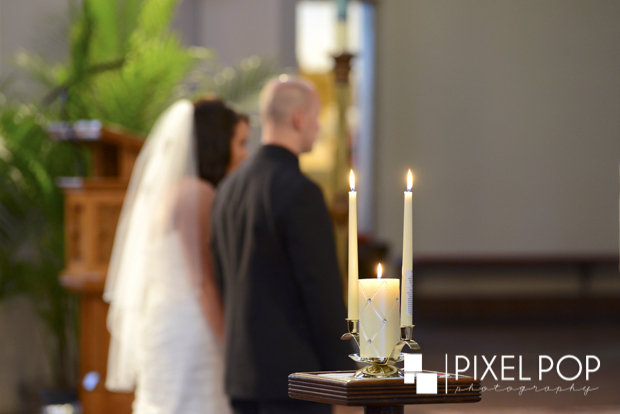 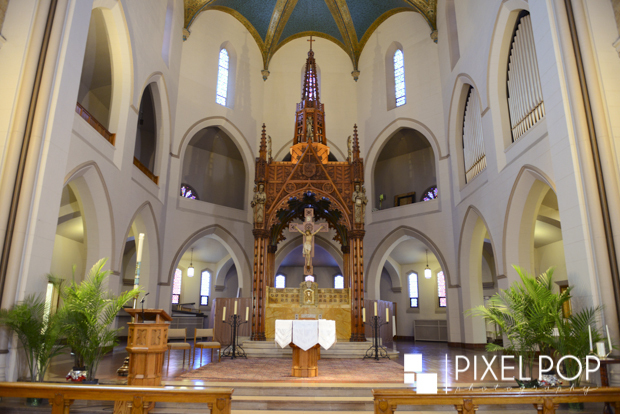 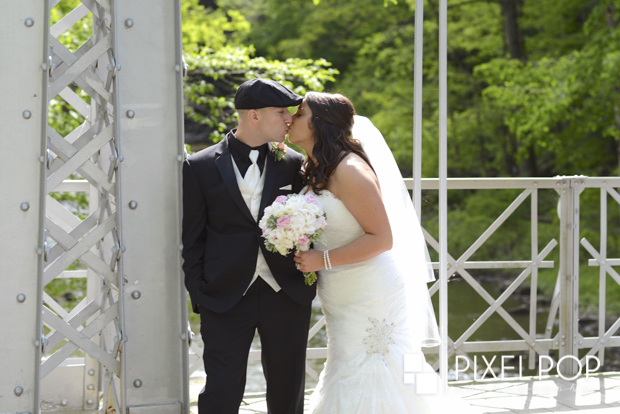 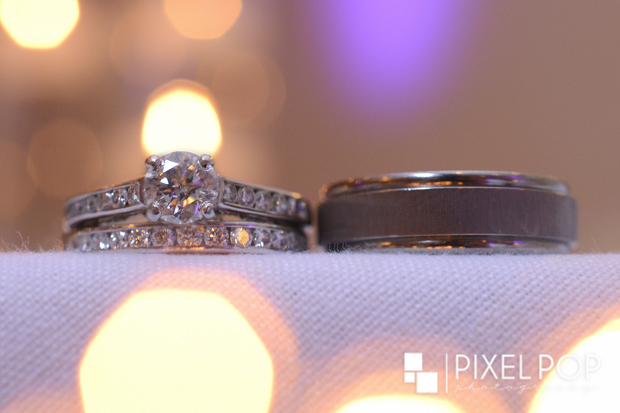 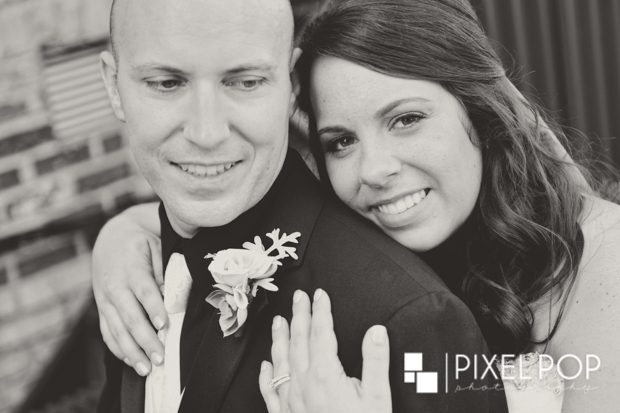 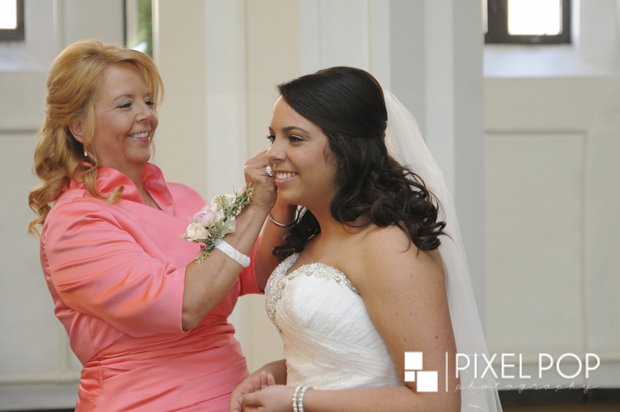 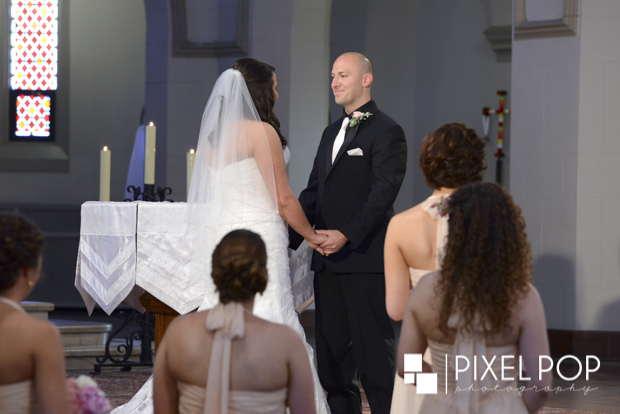 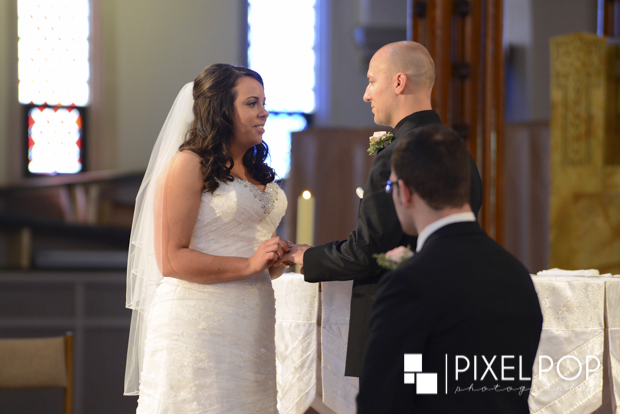 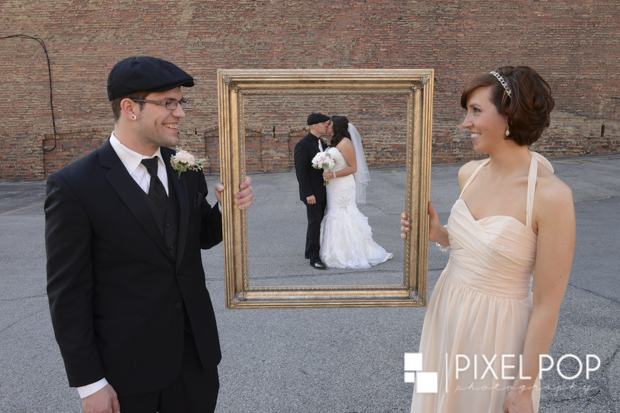 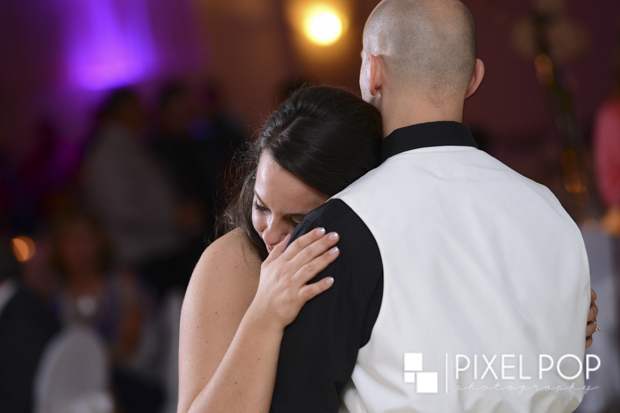 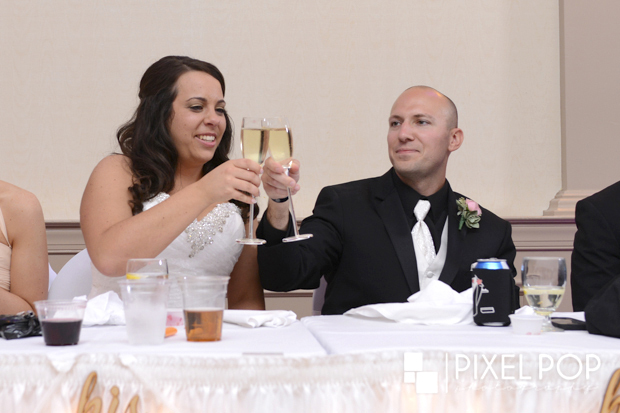 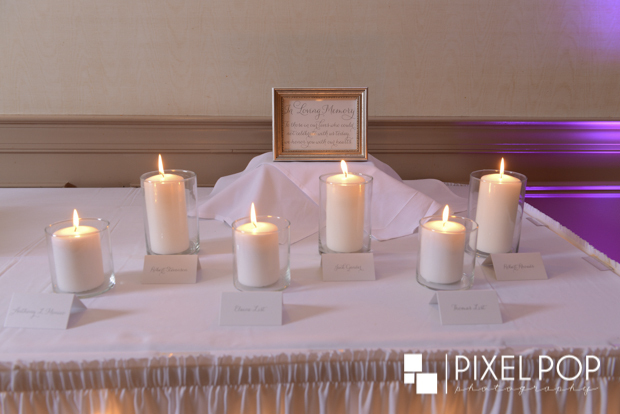 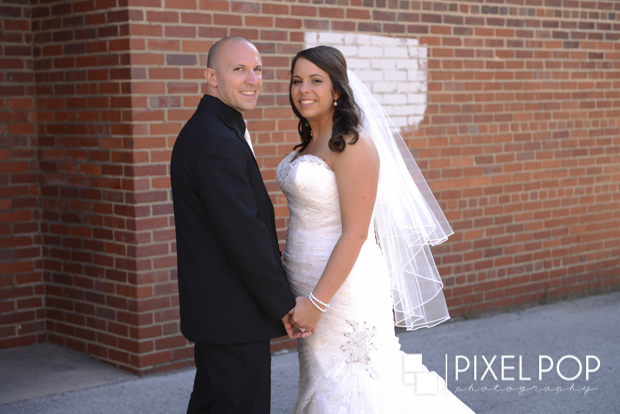 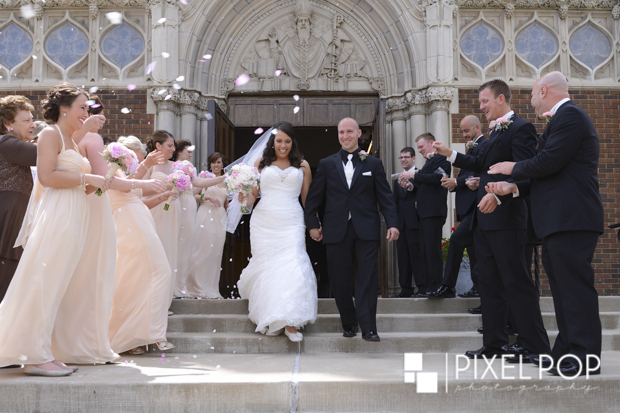 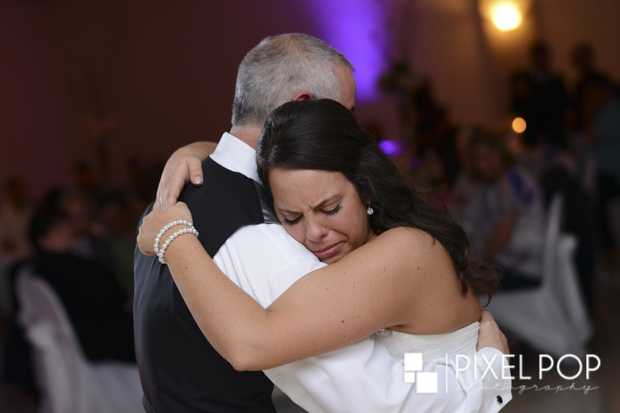 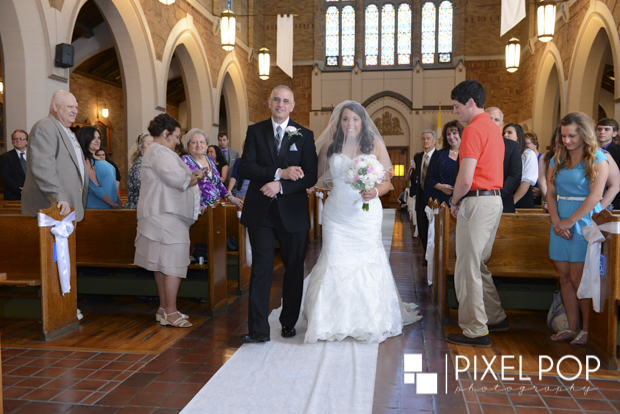 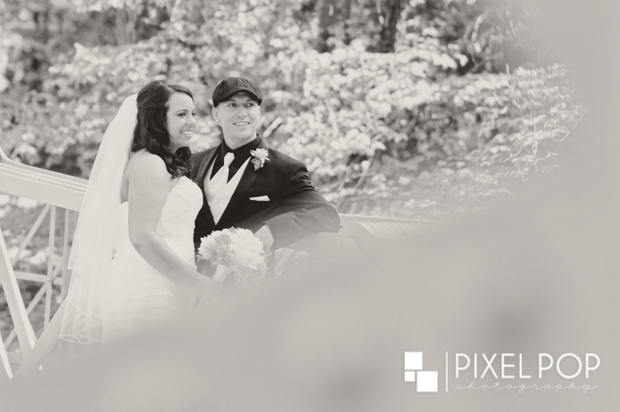 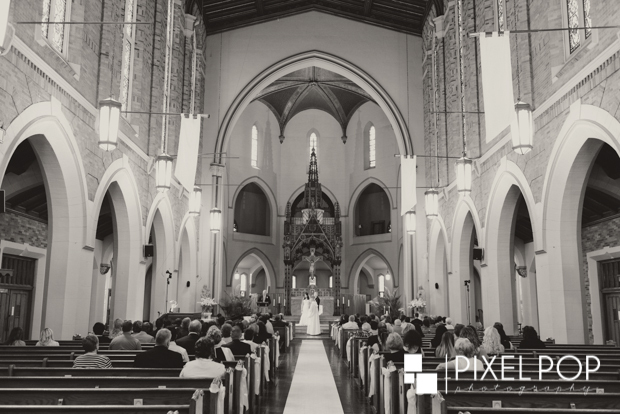 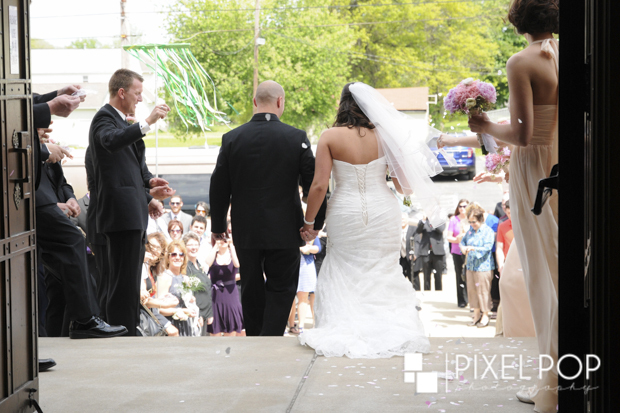 Angela and David’s wedding ceremony took place at St Patrick Church in Youngstown. 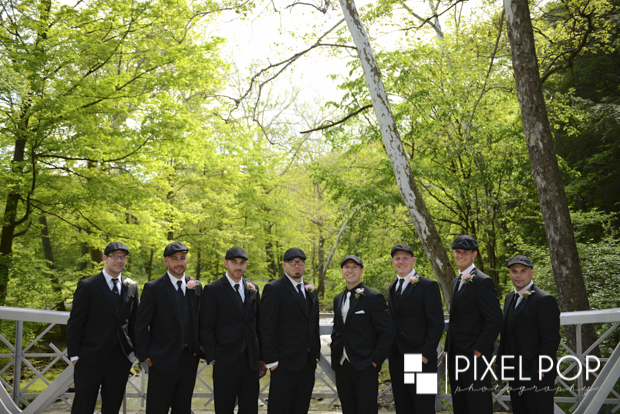 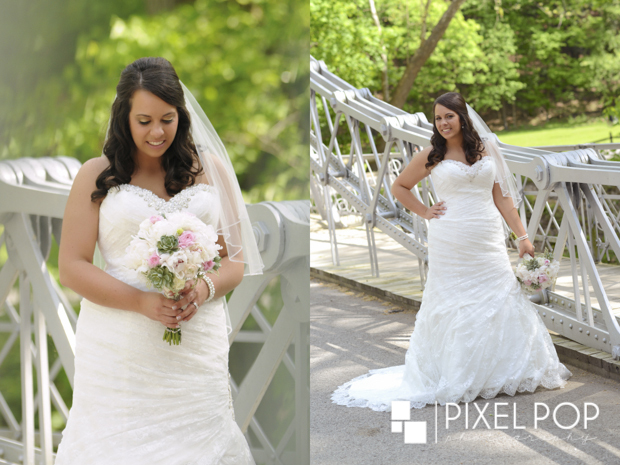 After their ceremony we went to The Cinderella Bridge in Mill Creek Park to do some photos of bridal party and photos of the two of them. 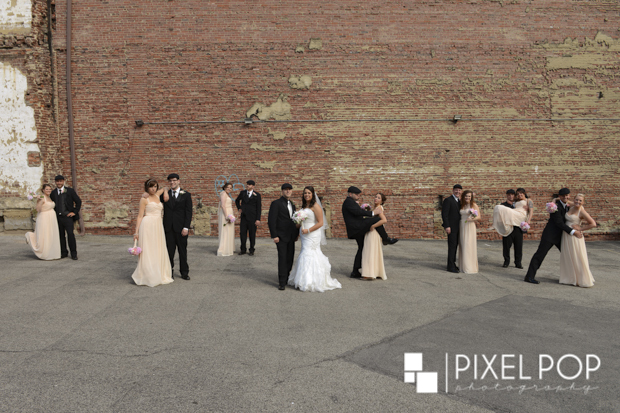 After that we went downtown for some more photos. 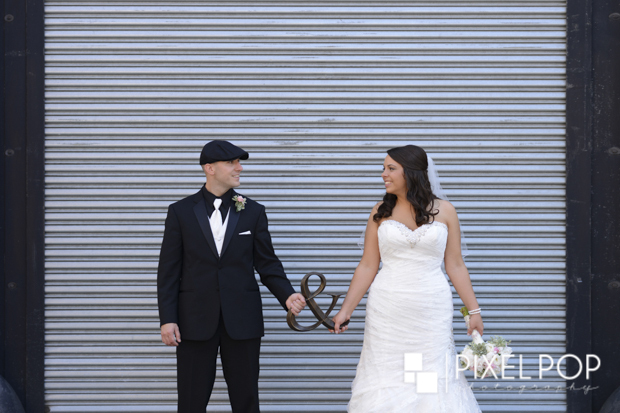 It’s always refreshing when we have enough time between the ceremony and reception to really utilize the time for photos. 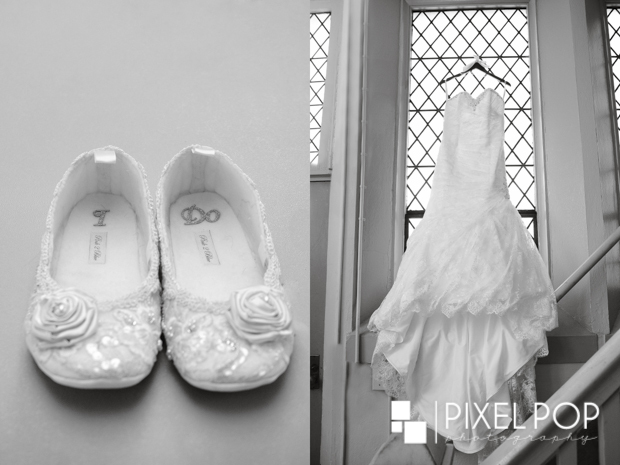 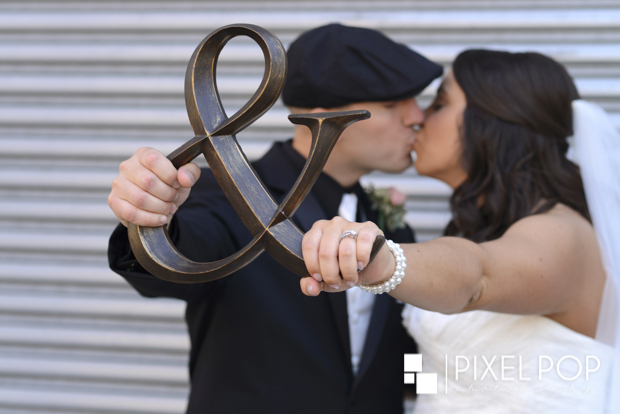 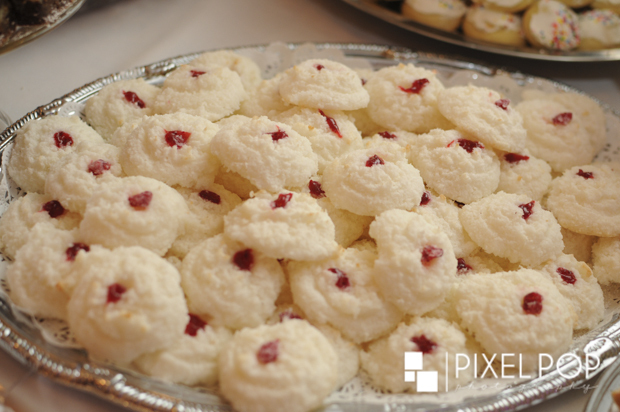 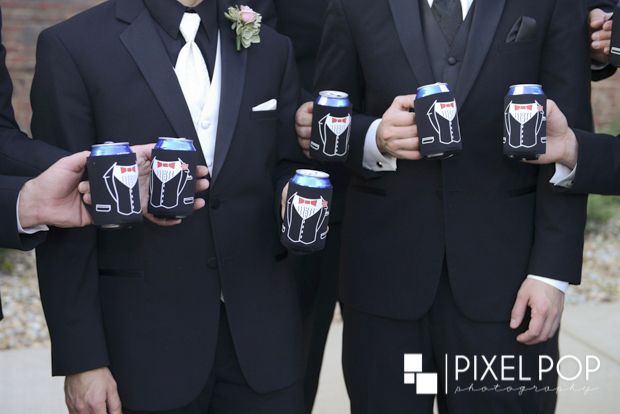 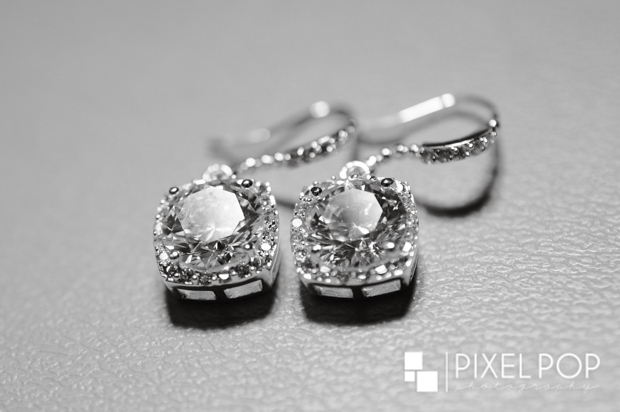 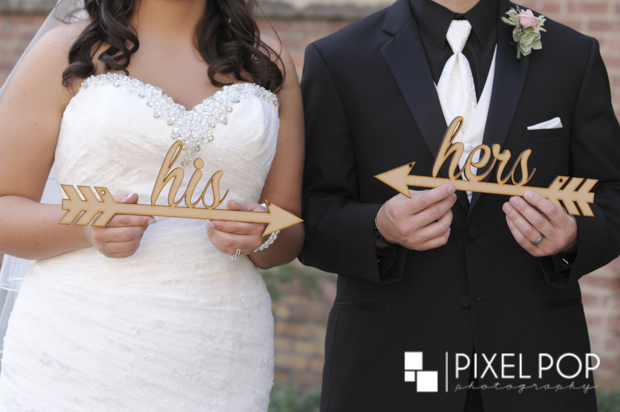 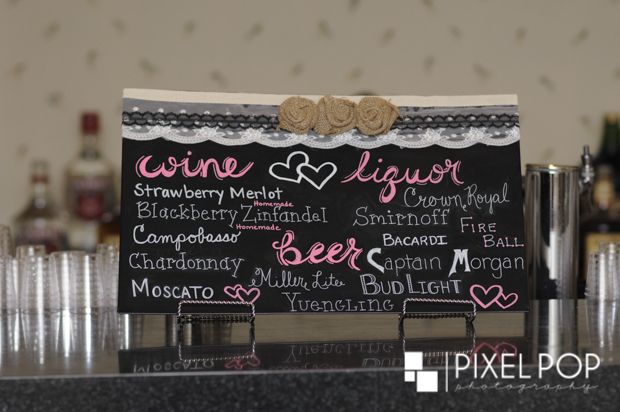 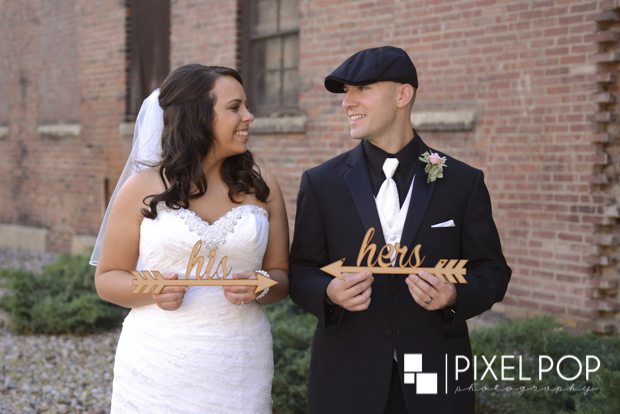 We loved all of Angela’s cute props that she incorporated into her photos. 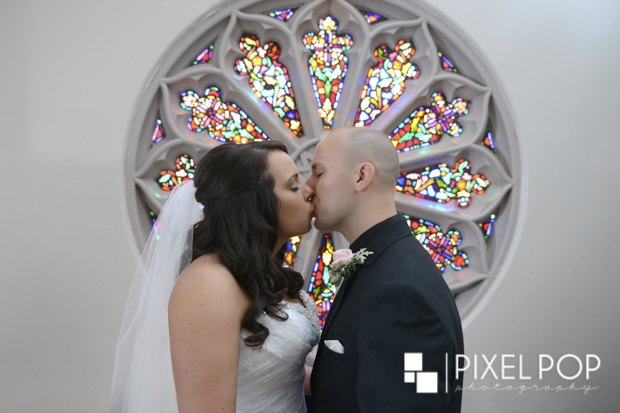 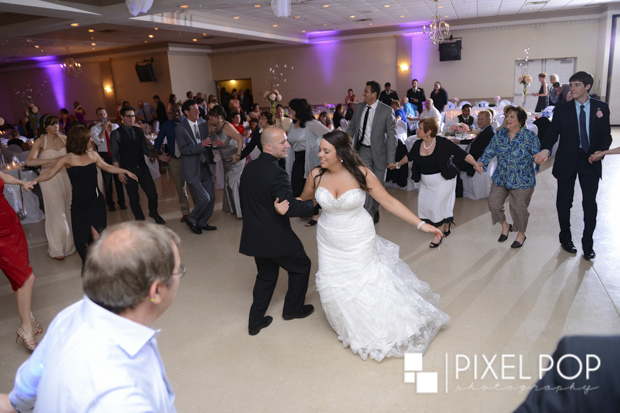 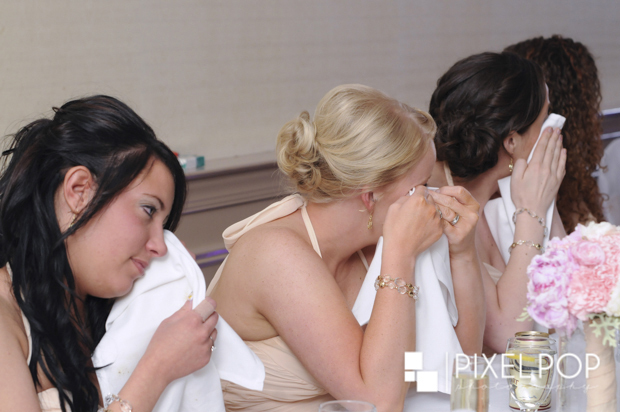 Their reception took place at The Byzantine Center at the Grove. 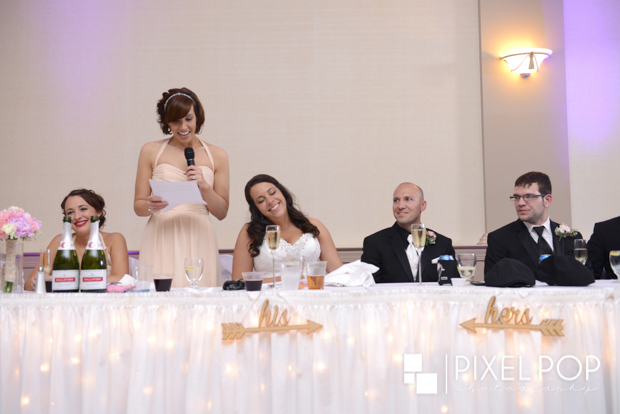 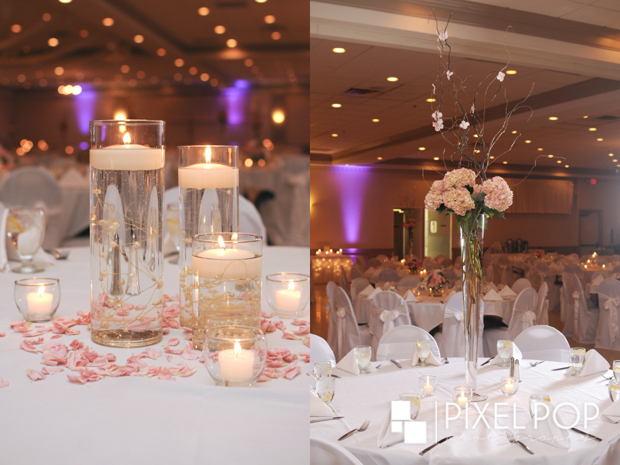 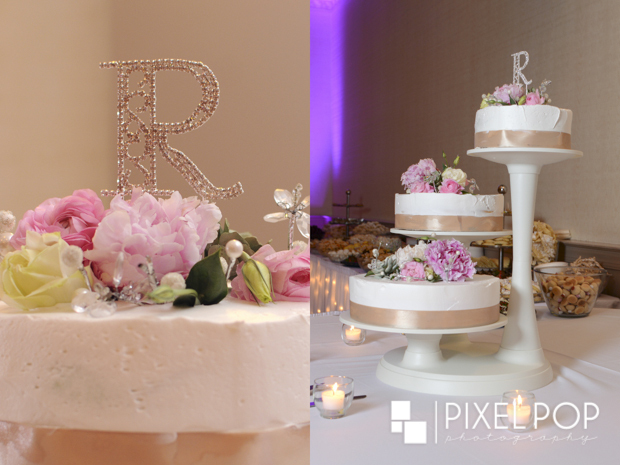 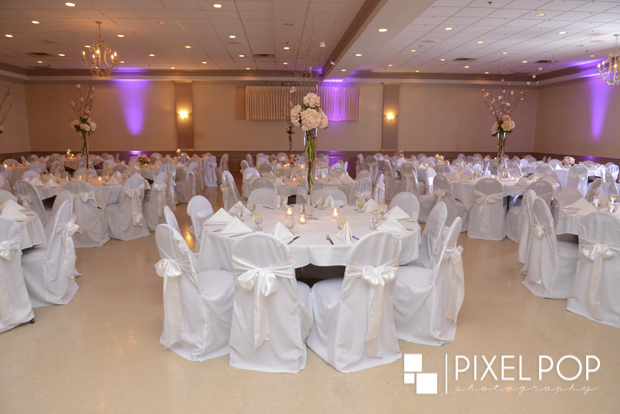 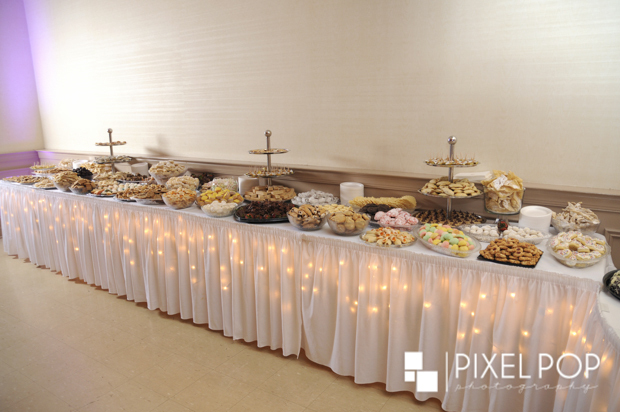 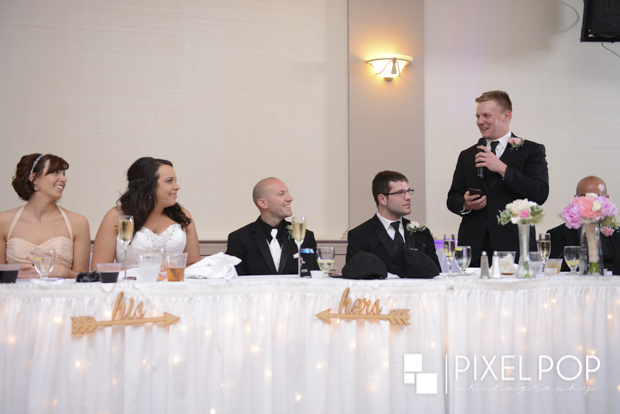 We loved all of their reception decorations and especially their up-lighting! 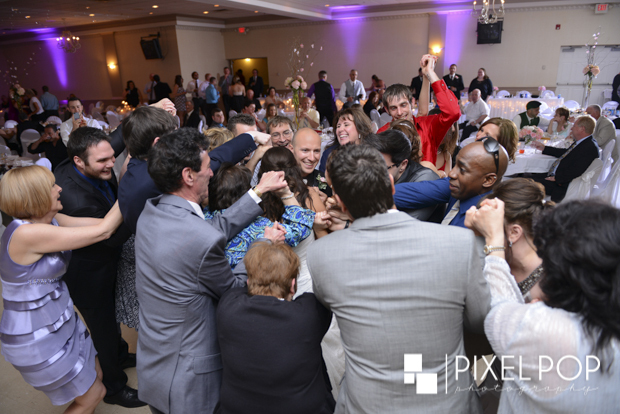 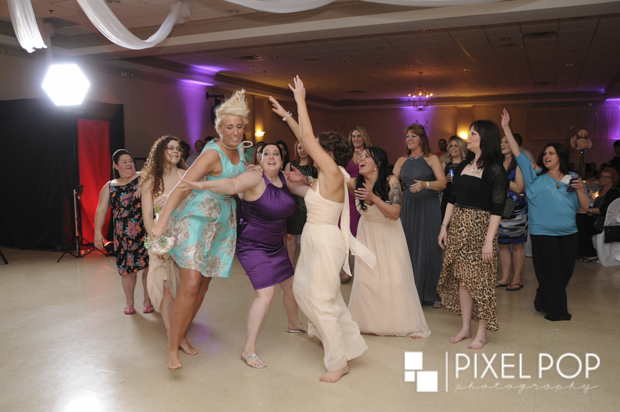 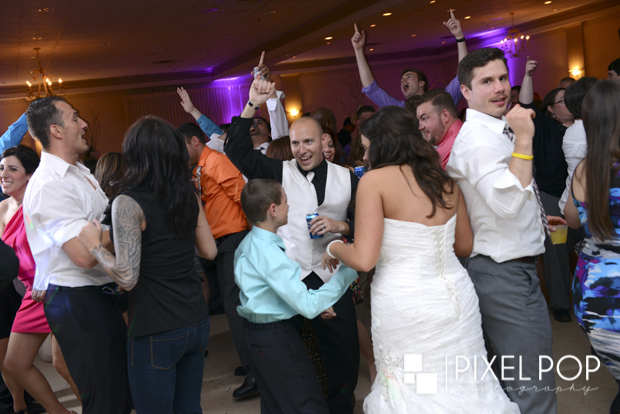 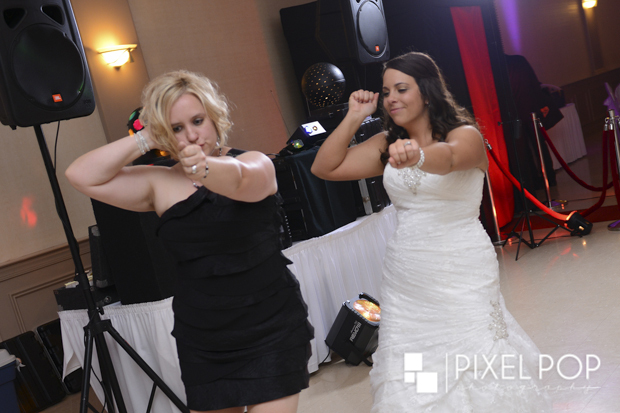 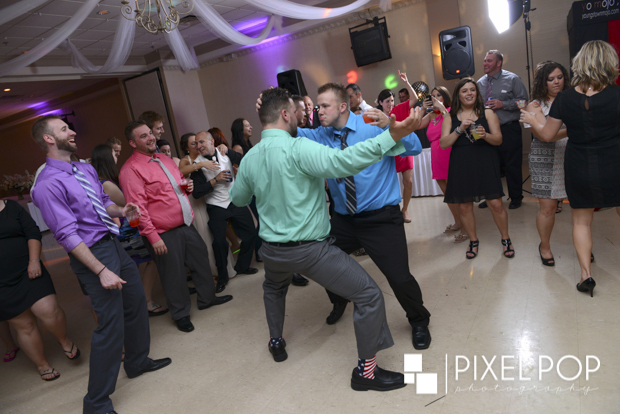 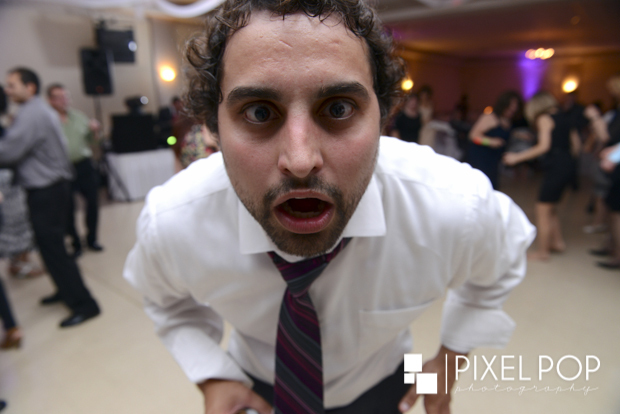 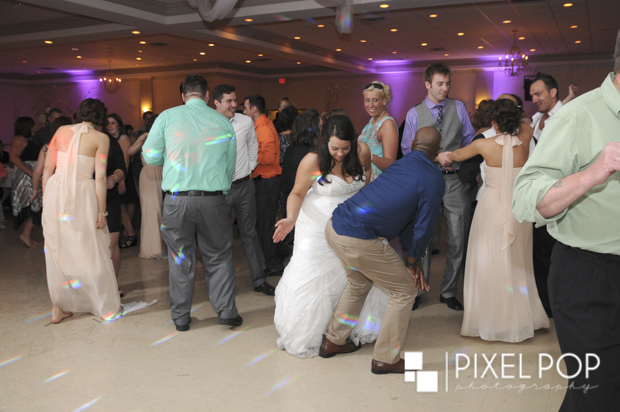 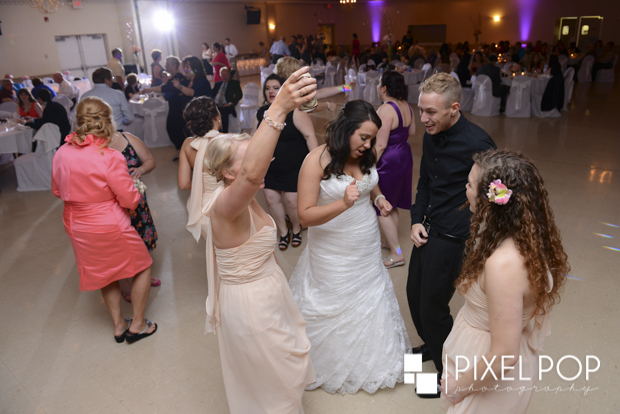 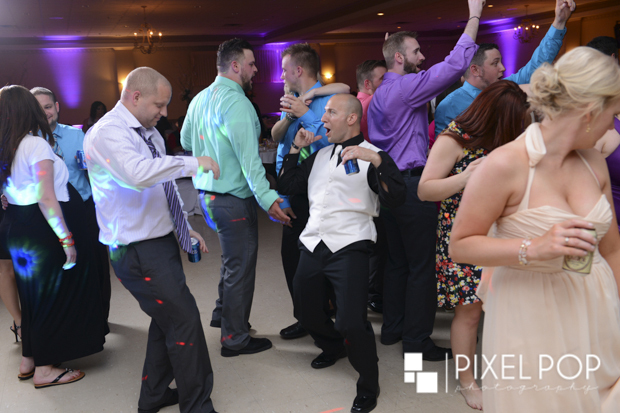 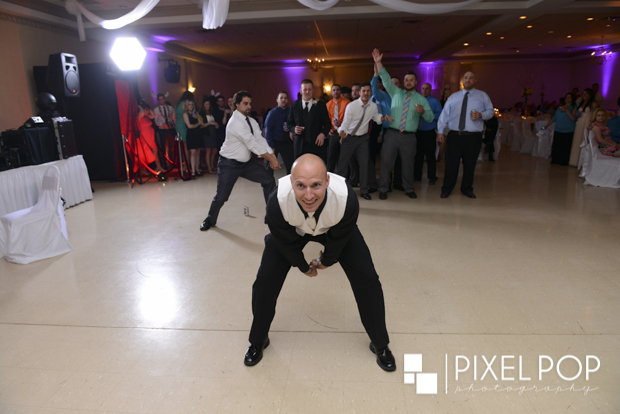 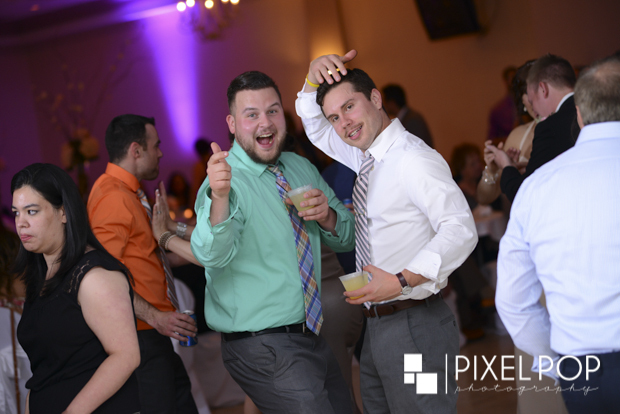 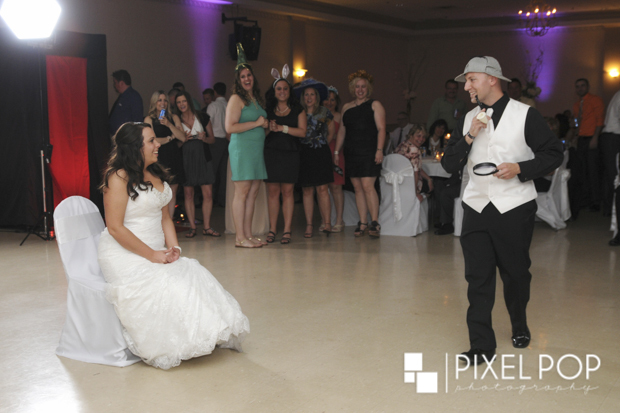 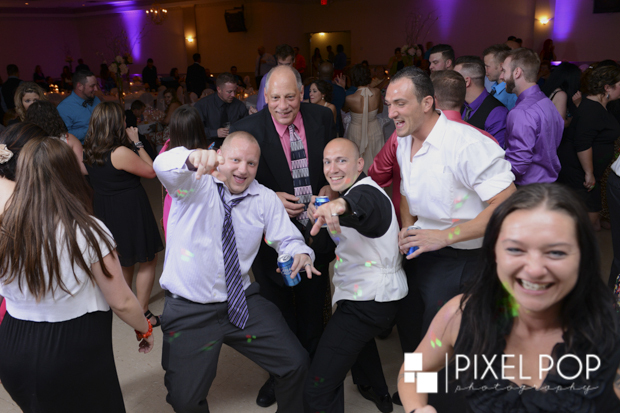 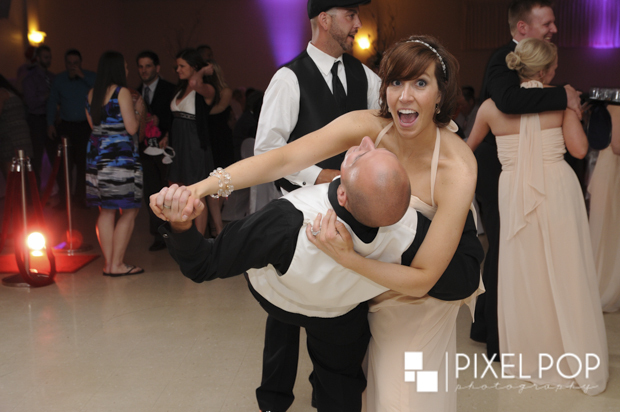 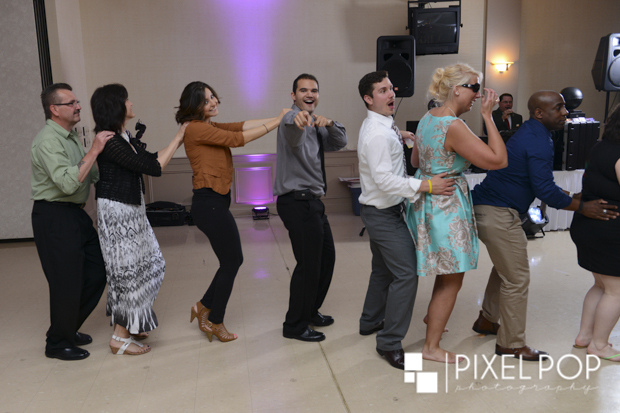 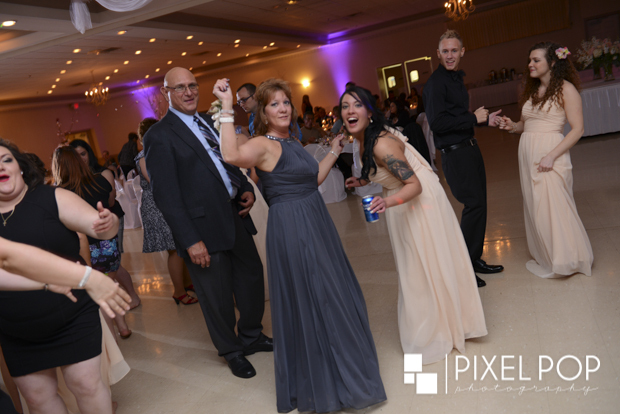 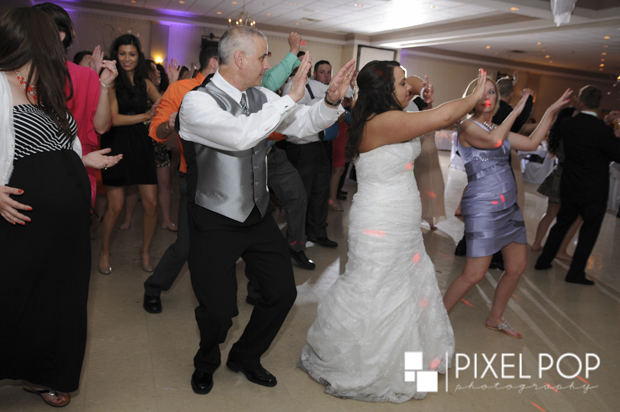 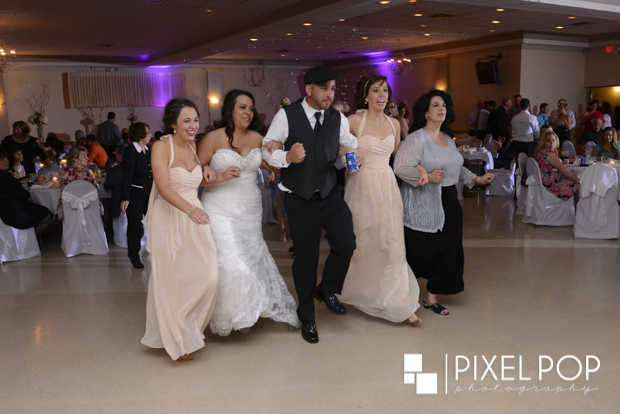 Everyone had a ton of fun on the dance floor, which always makes it fun for us. 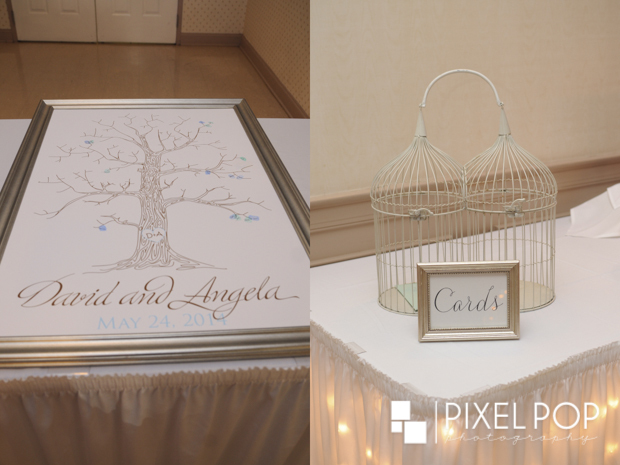 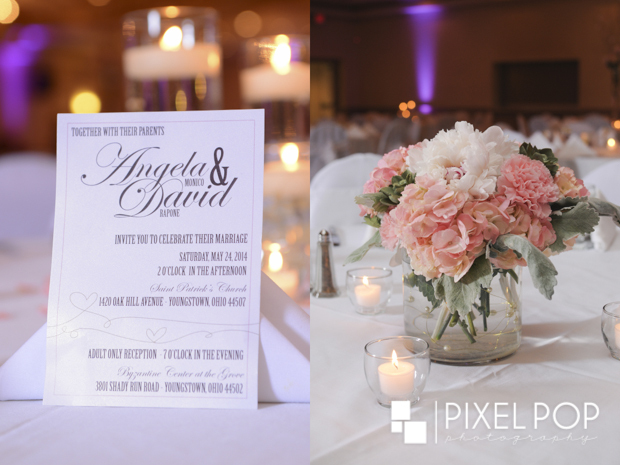 Congratulations again Angela & David!